For the past few years, brick-and-mortar retailers didn’t have a fighting chance to compete with the personalization and convenience provided by online shopping. By cultivating mountains of rich customer data, online retailers had the upper hand. 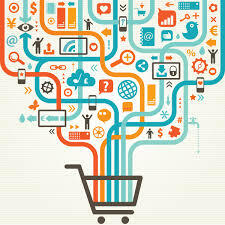 Every action and inaction — from what customers clicked on and how much time they spent looking at certain products to their social activity and response to email programs – helped online retailers tailor each email, pop-up or recommended product to drive sales and provide a superior experience. For consumers, it was a welcome reprieve from the antiquated task of visiting a store, being treated as a stranger and receiving often-questionable customer service. This new customer journey had new engagement touch points across marketing, sales and service, and traditional retailers struggled to keep up. The tides are turning, however. After years of showrooming and online retail commanding more attention along with emerging technology like iBeacons and immersive personalized mobile experiences, the data-driven shopping experience is set to land inside brick-and-mortar stores. The lines between the physical and digital worlds are blurring, and the ease, convenience and excitement previously reserved for online shopping will soon be pillars of tomorrow’s shops.